Kenya’s Commercial Bank of Africa shareholders have accepted a share swap with NIC Group, paving the way for the first major merger in the sector since interest rate caps were imposed in 2016. CBA made the announcement on Friday. In January, the two banks announced a planned merger in which current NIC Group shareholders would own 47 percent of the merged entity and CBA shareholders 53 percent. 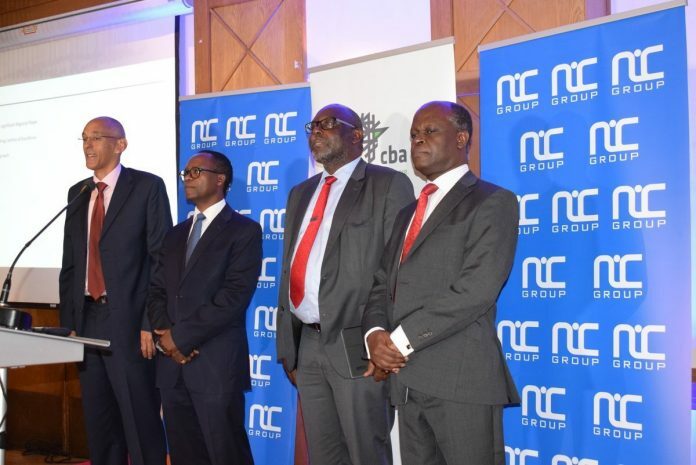 “As a result of the share exchange transaction, it is proposed that NIC Group will acquire sole control of CBA and its subsidiaries,” CBA said in a statement published in the dailies. The NIC deal is the first major one in the industry since the government imposed a cap on commercial interest rates in 2016. A court ruled on Thursday that the cap was unconstitutional, but suspended the ruling for 12 months to allow parliament to re-examine the law. There has been pressure on Kenyan banks to consolidate in response to the cap. The cap has hit second-tier lenders’ ability to price risk, affecting the quality of loans and forcing lenders such as NIC to consider suitors, analysts have said. NIC is a leading bank in asset financing and has a strong base of mid-sized corporate clients. CBA has a strong retail client base, including digital-only customers on its M-Shwari mobile platform. The banks said in January that once merged, the group will have more than 100 branches, spanning Kenya, Tanzania, Uganda, Rwanda and Ivory Coast. It will also have a presence on mobile platforms in Tanzania, Uganda and Rwanda and Ivory Coast, in collaboration with telecoms firms in the four countries.